Two Saturdays ago, my son requested for donuts after we were done grocery shopping. 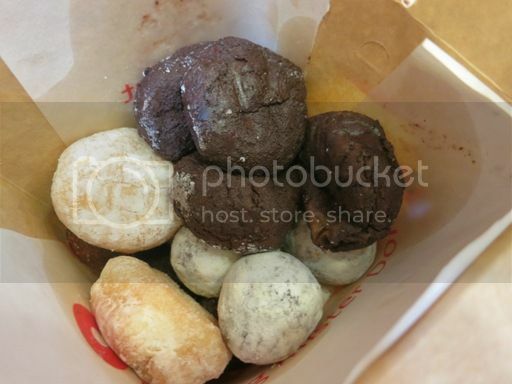 Mister Donut was the nearest donut store to the grocery, so that’s where we went. He couldn’t decide, though, which donuts to buy, but after a while, he said he’d have smidgets instead. 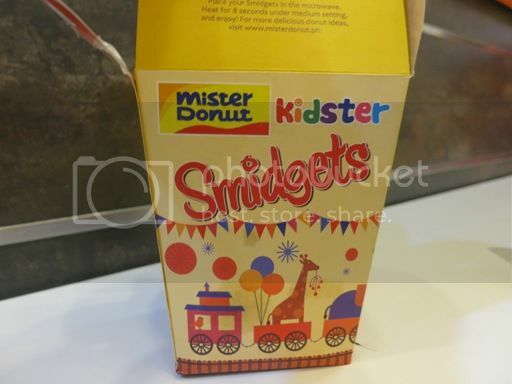 I wasn’t really sure if it was Ryzza Mae Dizon’s poster on the wall that enticed him to choose smidgets over donuts. 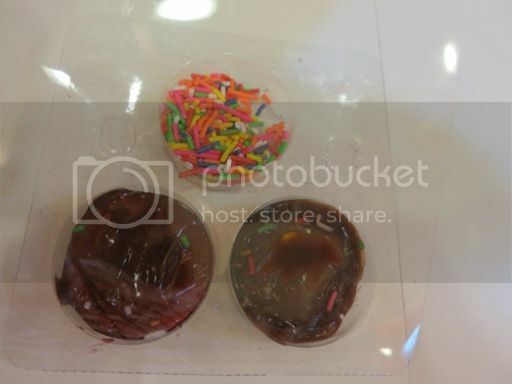 I bought a box of smidgets for him at Php99.00 with three dips: candy sprinkles, mixed berries and chocolate. My son tried all three dips, but he liked the chocolate dip the most. I wasn’t surprised with his choice because he loves chocolate. Personally, I prefer the smidgets without the dips because that would mean less sugar and calories for the little boy, but I guess the dips were meant for kids and not for mommies like me. Lol! This entry was posted in Mister Donut, Smidgets. Bookmark the permalink.